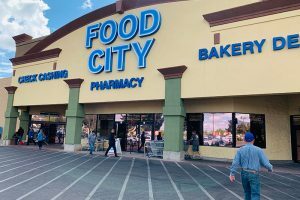 Business partners Alfred Holzheu, Greg King and Sean Walwick have opened a California Fresh Market in a former Haggen/Albertsons store in San Luis Obispo, California, that allows shoppers to skip the checkout line by using an app on their smartphone. The store opened Nov. 9 at 767 Foothill Boulevard. 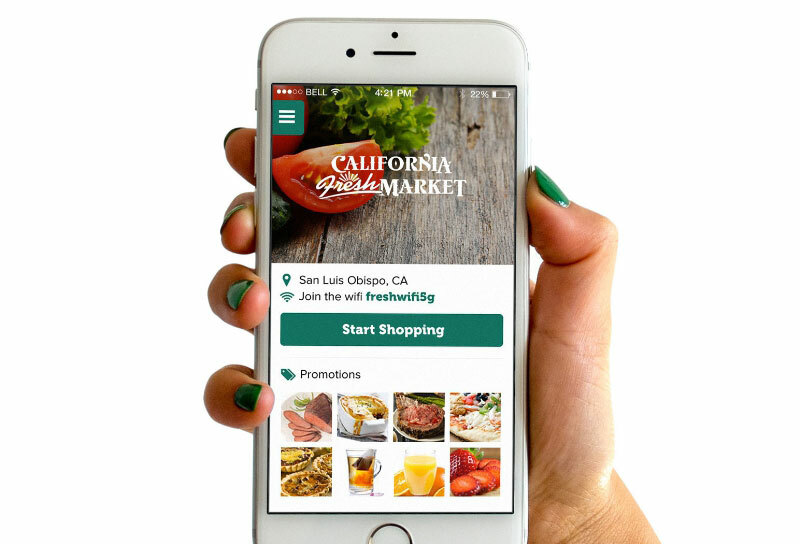 To skip the line, shoppers download the California Fresh Market app on their Android or iPhone. The app lets shoppers scan items’ barcodes to add them to their purchase, and it works for produce as well. Shoppers can keep track of their running total while they browse and see specials and other information. When it’s time to check out, instead of getting in line, shoppers scan a QR code at the front of the store. Payment happens on the phone via credit card or ApplePay, and the shopper is ready to go. Purchasing alcohol still requires an ID check, and the store checks a certain percentage of purchases to ensure accuracy. The technology is provided by FutureProof Retail (FPR). 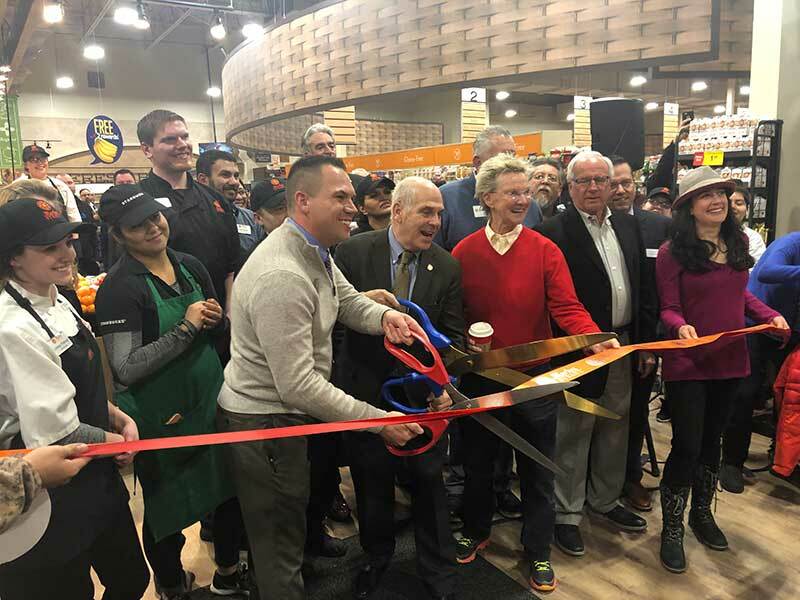 FPR says that while similar mobile self-scanning technology has appeared in various tests and forms elsewhere, San Luis Obispo’s California Fresh Market will be the first store in the world to incorporate such technology from opening day. The grocer operates three stores—California Fresh Markets in Solvang and San Luis Obispo and El Rancho Market in Pismo. The company is a member of the Independent Grocer Association. Established and based in New York City, FPR says it employs award-winning software engineers and business developers. The firm was founded by “a group of impatient shoppers,” and focuses on ease of use in mobile self-scanning systems. The FPR team has earned accolades in the App Store and across a variety of industries, the company says.